Bombay became Mumbai, City grew commercially but the old historic places and old Heritage structures and old buildings are still standing high and are on city’s Heritage tour list. These old structures, locations and places of worship are Edifice and beautiful with citizens frequently visiting. Few of the listed are not seen on Heritage tour and attractions list. To understand it better, I have detailed each of them and have categorized into 3 majors as below..
BMC Headquarters Building Opposite CST station. 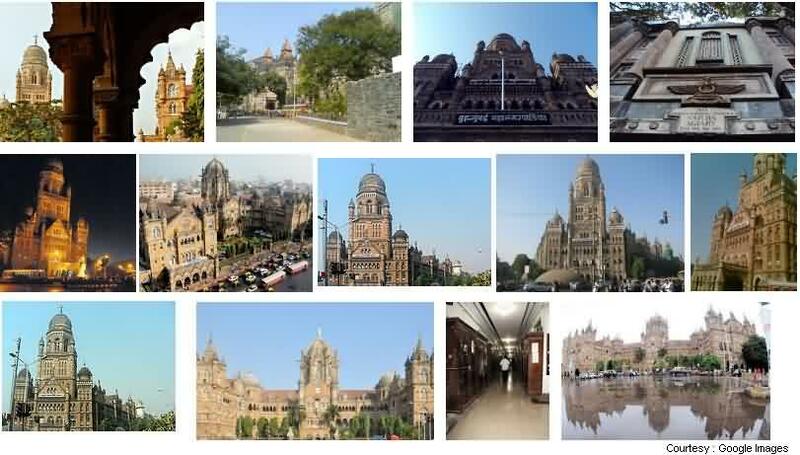 BMC Headquarters Building : BMC (Brihanmumbai Municipal Corporation) a government of Maharashtra organization taking care of all civic requirements, maintenance etc has its headquarters builing exactly opposite CST railway station in South of Mumbai since 1865. 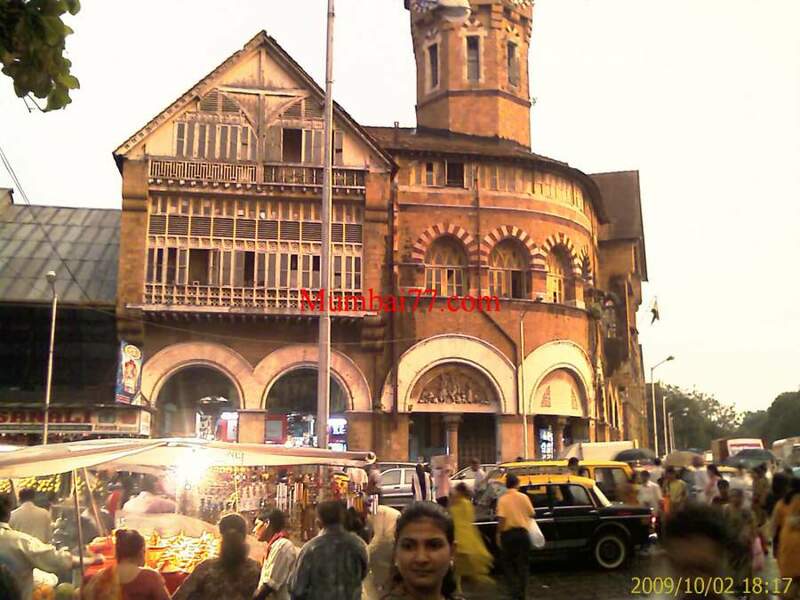 This building structure is a classic example of architectural monument of city and has been listed as tourists attraction by ‘Mumbai Heritage Conservation Committee’. 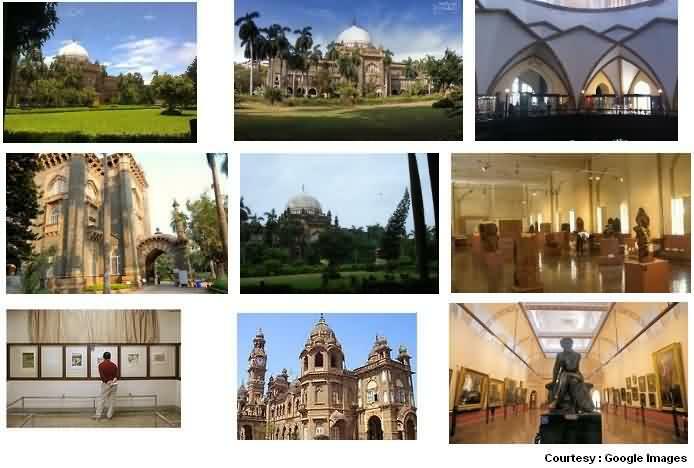 Chhatrapati Shivaji Maharaj Vastu Sangrahalaya : Shortly referred as ‘CSMVS’ and formerly named as ‘Price of Wales’ is a beautiful Museum since 1904. The structure of Museum building has been listed as Grade 1 heritage building and has an architecture of Indo-Saracenic style which also got UNESCO asia award in 2010. Mumbai University Building : This Gothic style architecture building is the University campus of Mumbai and are often listed on South Mumbai’s heritage walk / tour done by activists, citizens and also tourism department. Major attractions is the structure of this building and Rajabai Clock tower as detailed below. Rajabai Tower : Famously known as Mumbai University Clock Tower, This tall structure is here since 1878 and is a classic example of Gothic Architectures Historic Heritage site which has great from the wide open Oval Maidan (Ground) exactly in front. Year 2015 saw some of the restoration and renovation work carried out of this beautiful structure inside and along with University building. The original Gothic looks and beauty of that Huge Tic Toc Clock are intact. The Asiatic Society Library Building : Also known as Town Hall library of South Mumbai is multi-stair, wide entrance structure painted white looks nothings less than a White House or a Parliament building which is not going digital with more than 10,000 books. The huge standing pillars supporting the structure looks beautiful. Its a must visit place if you are a Historian or working on some Heritage project in your college, School or University. 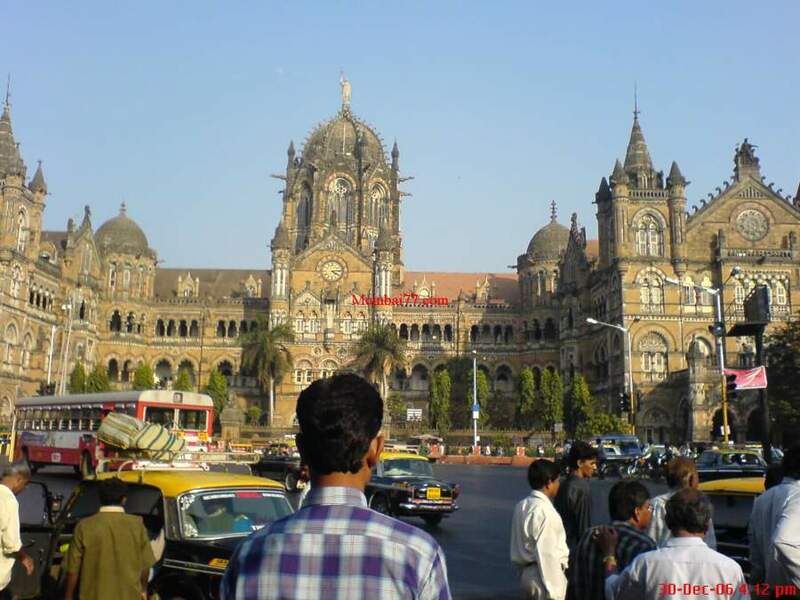 CST Station Heritage Tour : Chattrapati Shivaji Terminus, A railway station quite known world wide now after the terror attack is one of the oldest and beautiful railway station building and also a listed heritage structure in Mumbai which has a Museum inside. This Roman Catholic style dome structure since 1888 is on top list of heritage attractions in city. Crawford Market : Since 1869, Now officially called ‘Mahatma Jyotiba Phule Market’ (Which is still called locally with its former name ‘Crawford Market’ was once the only Wholesale market of Mumbai. The beauty of this historical structure is back after recent renovation and is still one of the most crowded during festive seasons. Bandra Railway Station : Year 1995, Government declared this Western suburb station as Heritage structure of Mumbai and has planned to have as second Railway Museum (After CST) and get on the list of UNESCO too. The Pictures, Videos on that article will talk more about this Historic places of this station. Talking about History of Mumbai and the old preserved heritage structures, We cannot forget those age old famous temples, Churches and other places of worship in city. Below are list of few of those famous and very important holy places of Mumbai among which Babulnath temple, Haji Ali Dargah, Mahalaxmi temple and Mumbadevi temple are the epitomes and still gives the age old original historic feel of BOMBAY era. Lets understand them one by one. Mumbadevi Temple : Goddess (Devi) Mumba is called the main Goddess of city upon which the name ‘Mumbai’ was given. The era of fisherman, villages and rural Bombay during when the temples old structure was built and still has managed to maintain the classic looks or black and white era. Located at main market area of Charni Road station and is quite connected to Kalbadevi and Zaveri Bazaar, Mumbadevi is the oldest and historic place of worship one should visit in South Mumbai. Babulnath Temple : On the west side of Charni road railway station is this beach front and coastal location of Mumbai which has Babulnath temple. Personally my favourite temple and i feel this is the best structure made up of black rocks to be seen today in brick city. You will start feeling as if you are walking in 1950’s nad 60’s era of Mumbai as soon as you start stepping up the staircases made of black rocks. Walk around this temple and you will actually feel blessed and to why such monuments of Mumbai should always be taken care of and be on top of Heritage lists. 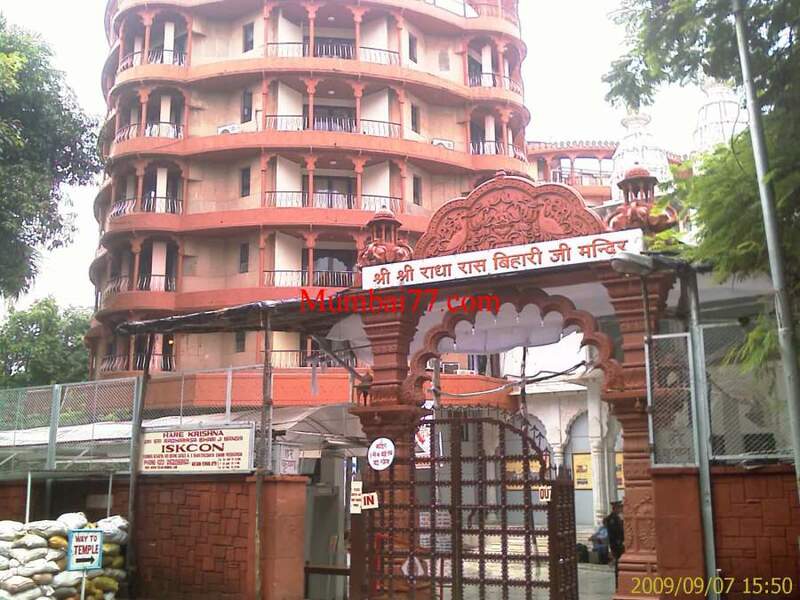 Siddhivinayak Temple : When a citizen / Bollywood celebrity and other have to start on with new projects, All new work starts after visiting this temple because the Lords of Lord who is known to be praised and worshipped first is ‘Lord Ganesha’ and Shiddhivinayak is just one of the names of this Lord. This temple is located at Prabhadevi (Dadar Station, Western Route) and has Historic values connected with devotees of Mumbai. Mahalaxmi Temple : This sea side structure is another temple of Heritage tour list of city. Located at the junction of Nepeansea road and Bhulabhai Desai Road with nearest railway station being Mumbai Central and Mahalaxmi. From entry gate temple to ladders till the top inside main temple its all the same since many decades now. Sea front immediately on back side is another attraction of this city which has got some of the best worship places in the history. Haji Ali Dargah : A Muslim Mosque inside Mumbai sea don’t need an introduction when we talk about Mumbai Heritage structures. Check my Monsoon walk to Dargah videos to feel wheat i am talking about. Every historic location has a story to tell and the page explains you further. Mount Mary Church : What a beautiful church on hills of Bandra, A suburban railway station of Mumbai. Be it the main church or the structure exactly opposite that gives a beautiful sea view too. I believe, whatever we citizen got is the blessing that should be preserved and is all done, as today getting a new building / structure like any one listed on this place and after decades people talking and considering it as a beautiful Heritage is not possible. Do check the Inside & Outside Church videos to feel and see the interior of Basilica. Iskcon Temple : Hare Rama Hare Krishna Temple is what it is called upon and Known by many. This temple is located at Juhu, a posh beach front location with nearest railway station being Andheri. Iskcon temples are around world and one of these Historic temples is a place of Attraction in Mumbai suburbs too. Jivdani Temple : Famously known as Temple on Mountain in the name of Godess, Located at far north end of western railway route is Virar Railway Station (Thane / Palghar District) about 64 Kilometre from Mumbai city is this very old and historic temple with large number of footfalls daily. This temple is decades old when Raja Shivaji had a small coastal watch house at nearest mountain which was locally called ‘Kala Ghar’ which does not exist now due to rock mining activities. Talking about Virar station, you must visit old temples like Ganeshpuri, Agashi Jain Temple, Mahavir Dham and Arnala beach fort in 10 to 30 km radius. Old Forts of Mumbai : The strong past of city has many stories in the form of old structures and remains of Forts. Inside Mumbai are these few iconic large black stone structures among which few are famous point of attractions and lovers point like Castella de Aguada (Bandra fort). Although to save the remains, the renovation has been done and have lost on the originals, Walking through this structures is one of the kind experience. Few other forts are at Worli, Sion, Sewri and Vasai (Bassein). 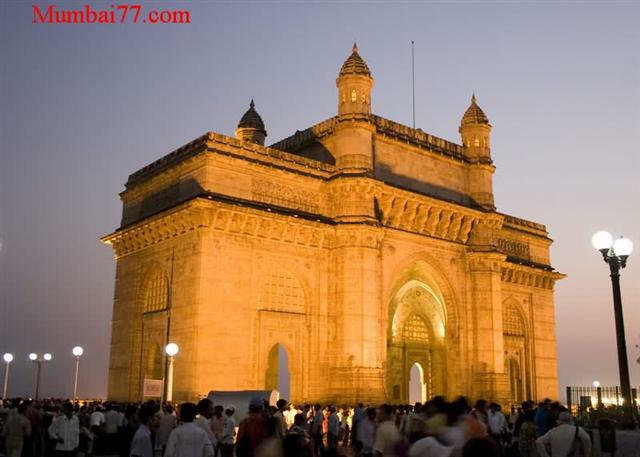 Gateway of India : South Mumbai has an iconic huge structure, Both heritage and historical and one of the most frequented by foreign tourists due to the proximity of South Mumbai and the ferry rides to Elephanta cave. Located near Apollo Bunder exactly opposite Taj Hotel with nearest stations to visit are CST (Central Railway) and Churchgate (Western Route). Hotel Taj : This Luxurious hotel exactly opposite Gateway of India has seen Britishers, VVIPS (Presidents and Prime Ministers around world), Celebrities, Business Tycoons, and sadly terrorists too. Since decades the structure has a strength of itself as it fought back with fire and bullets of recent terror and dusted out all negatives in no time. Elephanta caves : An ideal day picnic / tour for Historians. Elephanta is one of the only caves in South Mumbai which requires ferry ride to enjoy about 7 caves at one isolated island village place. It talks about the Buddhist life inside caves, Mind blowing rocky structures, Huge tall sculptures of trimurti (3 Headed) Shiva is all what one gets to know at this Heritage tour location. Kanhoji Angre Light House : The Only lighthouse of Mumbai at Kandheri island, near Gateway of India in south of city. It is historical and an heritage place since 1833 when Britishers built it but now just a tourist attraction. Khotachi Wadi : A Gaothan village remains of few historic lanes (Gulli) inside heart of South Mumbai is what Khotachi wadi can be said as today. Yet, Once inside specially during Christmas festival days, It will sure not make you feel inside city as the Gaothans (Village lanes) and old structured homes are so beautiful and age old styles like seen in Goa. Checkout the pictures and videos to feel the same. Villagers are fighting to keep the Heritage importance of this place away from the real estate and commercial demands of private developers. Kabutar Khana : The Pigeon House (Also called Kabootar Khana) is a grade 2 Heritage spot right in the middle of Main road at Dadar railway station west. The ironed boundaries circular structure is home to thousands of local pigeons since decades now and observes many daily visitors, tourists and bird lovers who feed them. This location is also famous for some of the Bollywood movie shootings like Parinda. Dhobi Ghat : Located adjacent to Mahalaxmi railway station, This is one of the largest Open Manual Laundromat and always on Mumbai Darshan and Attraction list due to the unique way they laundry the clothes. The stone made structures (Rocky Slates) used to wash clothes are ancient old and historical since many decades now. Don’t know about its Heritage listing status, But one must visit this place if around. Mahalaxmi Race Course : The very famous horse riding location just a stone throw from Dhobi Ghat, adjacent to Railway station. Royal Western India Turf Club is who takes care of same and this government land is on lease since 1914. crossed a century now, This is a landmark ground of Mumbai and a open attraction which can be captured right outside Mahalaxmi station. Worli TV Tower : Officially known as Mumbai’s Television Tower. You might ask, am i Kidding ? But no this 300 Meter tall tower was once a prominent and very important structure as their were no DishTv, TataSky, Videocon or Local Cabel Operators. Doordarshan Tower as it is called has just 2 to 3 Channel being telecast which were DD1 and DD2 and we have to sit according to the weekly schedules for our part of entertainment which was (Movie and Music once a week) and News (Major Positive about farmers and around India/World) daily. Days are gone and left behind is this still beautiful looking television tower located at Worli with channels having lowest TRPs. Mani Bhavan : Located at Gamdevi with nearest railway station being Grant Road, Mani Bhavan is a memorial to our Freedom fighter Shri Mahatma Gandhi. This is a two storey iconic structure conserved under Heritage listing talking about history of freedom fighters. It is open to public everyday between 9:30 Am and 6:00. It also has its library which is closed only on public holidays and 2nd and 4th Saturday. Byculla Zoo : Famously called ‘Mumbai Zoo’ is located at Byculla Railway station also near to Mumbai Central is the only Zoo for children, Sadly not as properly maintained as it should be. Plans of renovation and getting more wild life, birds are always circulating in the news, But the basic attractions of this Heritage place are still at far as Animals keep giving up their life due to not suitable environments. Still a good location to go ahead with kids. Dharavi Slums : Historical but not Heritage, Biggest slums of Asia is in our city. Listing here on this page as the shanties and structures are to be seen once at least before it get demolished as the rapid growing real estate has an eye of redevelopment on Dharavi. Bandra Talao : One of the oldest lakes in Mumbai suburb fashion queen station, Bandra has some Sweet memories at this Talao (Lake). This place is considered for restoration and beautification, and so i have listed the same here. Recommended only to visit if around Bandra location as their is no special attraction for same which is expected post beautification. Kanheri Caves Borivali : A location inside Mumbai’s national park is this old caves location where old Buddhist monks took shade during monsoons and summers. Historical old caves are the main attractions of Kanheri caves at which 7 new caves were discovered lately. Bhayander Creek Old Bridge : Bhayander is a Suburban railway station on western railway route. The location is far in north beyond the famous Suburbs of Mumbai. It has 2 Creeks flowing from Arabian sea towards Thane and separates the island city with thane district locations. Talking about this old unused dilapidated bridge, the pillars and the iron structure is very old, historical and made up of precious metal called ‘Sesam’. Owned by Indian Railways and so might not be on Heritage list and as per my knowledge is planned for reconstruction for road purpose in future which will connect Dahisar Borivali link road to Vasai Virar locations. Cinema Theatres : Yes, these cinema theatres are since 1960’s and wouldn’t it be called Historic now ? Check out few of them in South Mumbai, They are not that same multiplex in Malls kind looking like we go today. Although the trend has shifted to Multiplex and many of these old cinema houses are left out with old Hindi and Bhojpuri movies which are of 2nd and 3rd grade films, These structures are still historical to city. Check the pictures on that page and get the feel. Heritage Mills of City : By far and luckily the Heritage committee is able to preserve 2 of the iconic old Mills as all others are sold out to private developers which now can be said as ‘Mills of Bombay are Skylines of Mumbai’ as fact. As an Historian and Heritage lover you might like to visit the places with tall chimney’s without smoke now. Old New Street Names : Since we are talking about Old Heritages and Historical structures of city, This article may be interesting to you which details about the names of old Bombay streets which are been renamed.